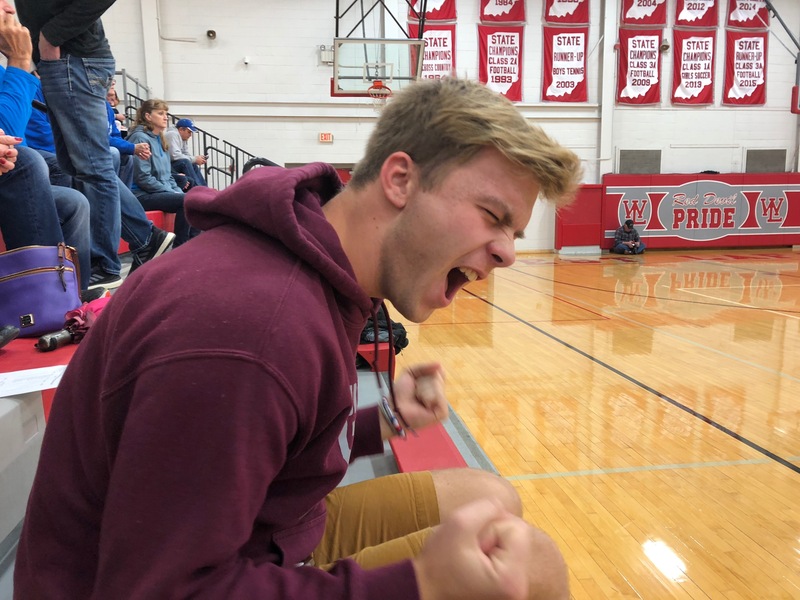 Senior, Anton Poznyak sits in the student section at the first girls basketball game. He does not play a sport in the winter, so he supports these sports when he has time. “Grace asked me to go, and I had no homework,” said Poznyak, 12. The student section included West Side alumni. Many were here to see their old friends, and see new things at the school such as the construction. “I came to support my past teammates and my sister,” said Itoro Udo-Imeh. 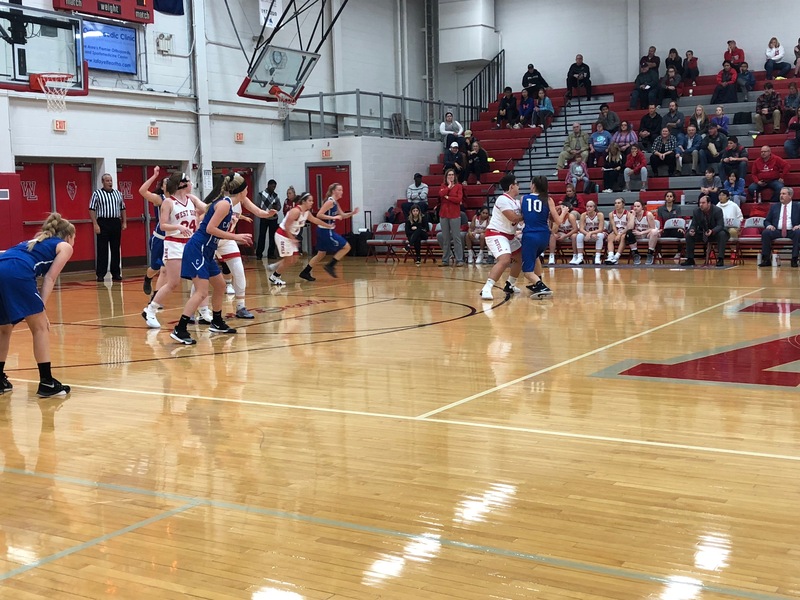 The girls’ team showed their dominance over Carroll, winning 42-24. 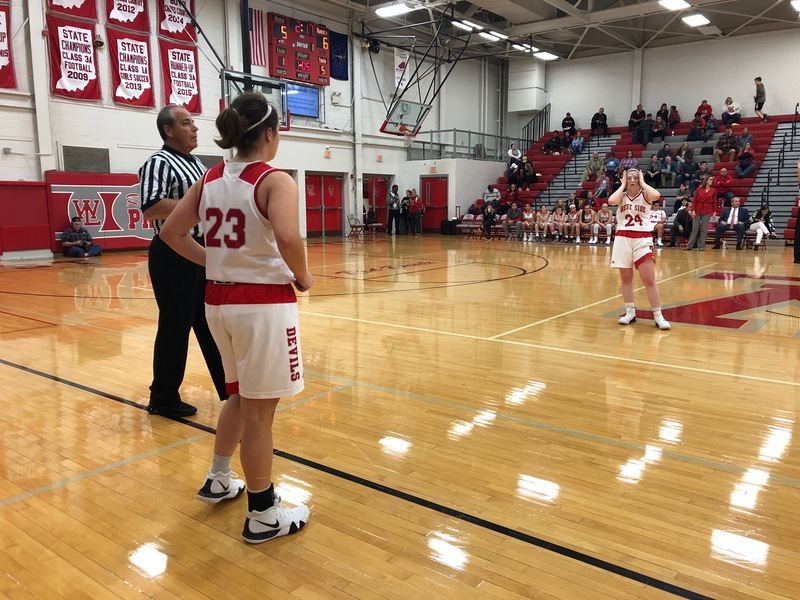 A team leader, Ashley Weatherly played an outstanding game ending with a double-double. 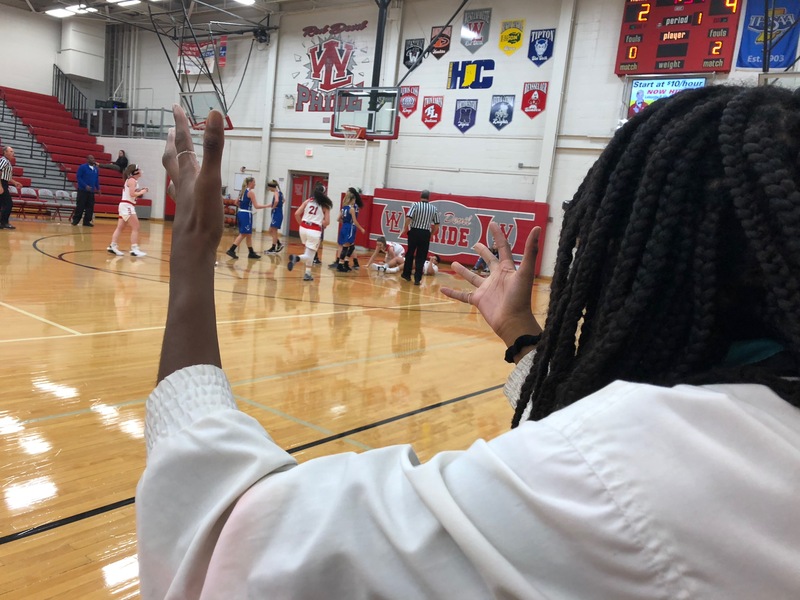 “It was one of the best games I have ever played,” said Weatherly, 12. Grace Kirchner was among the many seniors at the game. 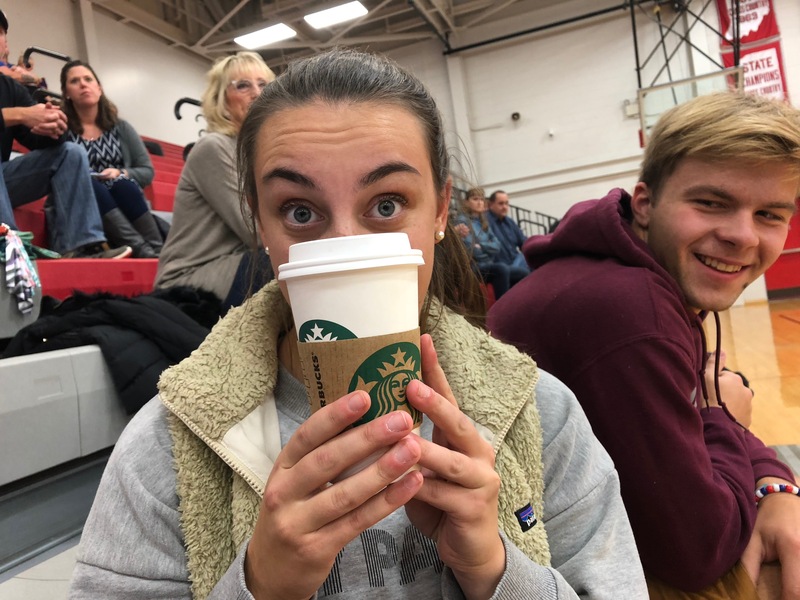 She enjoyed a hot coffee as she cheered on the Lady Devils. “I was already on my way to Starbucks, so I decided to stop by the game,” said Kirchner, 12. Caroline Sautter inbounds the ball during the first quarter. “I am super excited for my senior season,” said Caroline Sautter, 12. She is the point guard, and led the team with assists this game.